Nestlé is a world leader in nutrition, health, and wellness. Nestlé USA food production facilities manufacture many household names, including, Stouffer's, TombStone, California Pizza Kitchen, Coffee-Mate, DiGiorno, Haagen-Dazs, Edy's, Wonka, Coffee-Mate, Butterfinger, Sweetarts, Toll House, Libby's, Carnation, Nescafe, Hot Pockets, Lean Cuisine, Nesquik, and many other international brands. 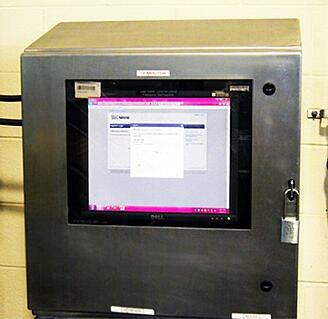 Nestlé USA has a longstanding relationship with ITSENCLOSURES. The Springvale, Utah location was referred to ITSENCLOSURES by another Nestlé location in the United States. The Nestlé’s food processing plant in Springville, Utah was faced with a large deployment of computers, monitors, printers, and keyboards on the plant floor. Nestlé sought an industrial, heavy-duty enclosure solution that would keep electronics safe and operational 24/7 in a mission critical, manufacturing environment. While planning implementation of a computer enclosure solution, Nestlé was mindful of the need to protect their electronics in a harsh environment. The enclosures would be exposed to a regular chemical wash down, which is required by the U.S. Food and Drug Administration. In addition, the electronics and enclosures were required to be functional for day-to-day operations. Finally, Nestlé faced the additional challenge of keeping the cost of a prospective solution under capital budget restraints. ITSENCLOSURES assessed the environment, which included the challenges of fluctuating temperatures and chemical wash down. NEMA 4X stainless steel enclosures are best suited for this type of environment, because they will withstand a harsh chemical sanitation process without leaving bacterial residue, as well as, combat against the excessive thermal management challenges. To be sure that all concerns and functionality issues were addressed prior to finalizing a design, ITSENCLOSURES worked closely with Nestlé during the design and production phase of the process. The enclosure design was dictated by the requirement to use off-the-shelf computer systems, including desktop monitors. ITSENCLOSURES assisted Nestlé in choosing the correct NEMA 4X enclosures, as well as proper input (keyboard & mouse) devices. Once prototype units were developled and all tests were performed, Nestlé moved forward with a complete enclosure solution for the plant. 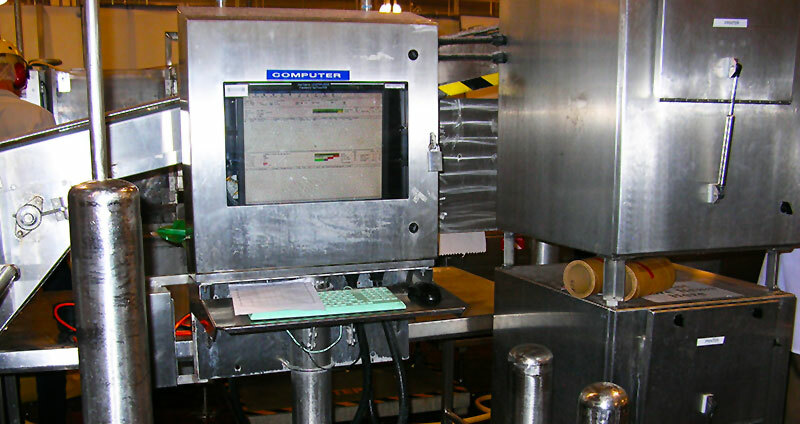 When Nestlé decided to deploy electronics on the production floor, they knew they were going to have to deal with a harsh ambient environment, such as intense heat, bitter cold in freezer areas, and substantial moisture. As is commonly known, electronics do not typically mix well in these types of environments. Nestlé concluded that they needed to enclose the electronics, but were unsure how to accomplish. The IT staff had not been faced with this type of challenge in the past. Knowing they were going to need experienced assistance, Nestlé turned to ITSENCLOSURES to provide advice and skilled consultation in enclosing electronics against the various challenges in the production environment. ITSENCLOSURES was instrumental in assessing and recommending choices for functionality, survivability, and productivity in Nestlé’s enclosure solutions. ITSENCLOSURES provided all engineering, design, and production facets of the project and worked closely with Nestlé’s IT department to ensure a timely delivery. 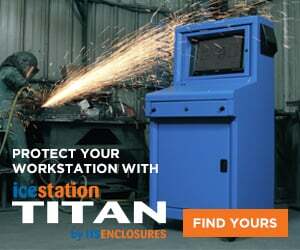 Although the majority of the products used in the Nestle project were custom, ITSENCLOSURES does offer similar products. The products have evolved since the installation date, and accept 16:9 wide screen monitors in varying sizes.